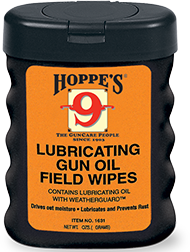 Drives out moisture, lubricates and prevents rust. Packaged in a convenient finger grip container. 50 - 3" x 5" towelettes.